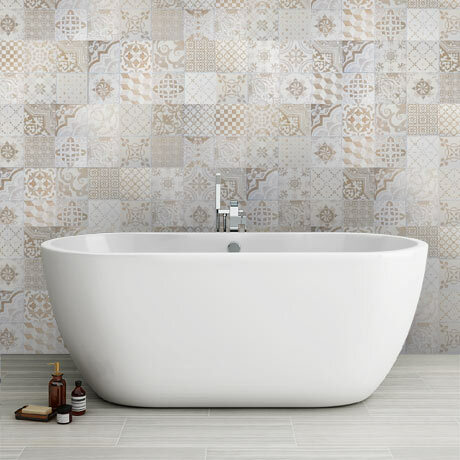 Featuring beautiful patchwork designs, the Verona Beige encaustic effect tiles will create a real style statement in any room. Consisting of five individual stunning designs, each box will contain a random selection. The Verona Beige are versatile tiles that can be used on walls and floors.